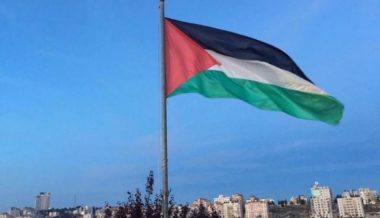 Five leftist Palestinian political factions announced on Sunday the establishment of the Palestinian National Democratic Assembly, consisting of all five factions, in addition to senior social figures. The assembly is composed of the Popular Front for the Liberation of Palestine (PFLP), the Democratic Front for the Liberation of Palestine (DFLP), the Palestinian National Initiative (PNI), the Palestinian People’s Party (PPP), the Palestinian Democratic Union (FIDA), and several independent political leaders. The assembly aims to act as a united front in Palestine, and within the Palestine Liberation Organization (PLO), as the sole representative of the Palestinian people in Palestine and everywhere in the world, and is open to participation of other factions and groups that would all act together as part of this united democratic coalition. The assembly also affirmed its belief in national partnership and unity, and in democratic national elections that represent all Palestinians and all parties, and its strong belief in full partnership of all stakeholders in making decisions. It also affirmed its rejection of the so-called “Deal of the Century” which U.S. President Donald Trump is trying to pass by ignoring and violating the basic Palestinian rights of liberty, independence, sovereignty, and the right to establish a continuous Palestinian State. The assembly stated that the American positions and decisions violate international law and all related United Nations and Security Council resolutions, and that such hostile policies must be countered not only by words and by media statements, but by real measures that would impact U.S. interests in the Middle East. Furthermore, the assembly said that the Palestinian people have the right to resist the illegal Israeli occupation, and to continue their popular resistance against it, its illegal colonies, the Annexation Wall, and the policies that target the existence of the Palestinian people in occupied Jerusalem, including the ongoing assaults against Al-Aqsa Mosque and all holy sites in occupied Palestine. It called on acting to fully end the illegal siege on Gaza, and to start reconstruction and rehabilitation projects, to improve and rebuild Gaza’s infrastructure, including services, sewage systems, electricity, water supplies and to significantly reduce poverty levels. It also called on implementing all reconciliation agreements between the Palestinian factions, and the immediate formation of a Palestinian national unity government that does not exclude any faction or group, and for electing a new National Council based on the same principles and guidelines. The assembly also called for the implementation of the decisions made by the National Palestinian Council and the Central Council of the PLO to rescind the recognition of Israel, and to withdraw from all signed agreements, including Oslo agreement, and Paris Protocol, in addition to ending all forms of coordination between the Palestinian Authority and Israel. In addition, the assembly called for the immediate and strict implementation of the Palestinian Law regarding the complete boycott of Israeli colonialist products, and to pass laws that supports Palestinian products by re-evaluating and reducing taxes. The assembly also completely supports the Boycott, Divestment and Sanctions (BDS) movement, and believes in its importance and the successes it achieved, especially since Israel continues to violate International Law and all related United Nations resolutions. It also affirmed on supporting the Palestinians in the occupied capital, Jerusalem, facing escalating Israeli violations, and home demolitions, in addition to the apartheid Israeli polices that target their existence, in addition to the ongoing Israeli violations against the holy sites, and the basic rights of the Palestinian people, such as the right to own homes, lands, to receive education. The assembly also stressed on the importance of defending freedoms, and to firmly counter all violations and abuses targeting the people’s rights, such as the Freedom of Speech, the Freedom of the Press, and political arrests. It affirmed the importance of keeping the Justice System independent, and for reforming the Constitutional Court in order to ensure a fair and democratic rule, and called for ensuring the rights of Palestinian women as equal partners, especially since women in Palestine have been leading various legal, social, cultural and political organizations. Therefore, the statement argued, Palestine must elect more legislators ensuring these rights, especially since Palestine is a signatory to The Convention on the Elimination of all Forms of Discrimination Against Women (CEDAW). Furthermore, the assembly called for supporting the role of Palestinian youths, who are the core of the society and must have unequivocal rights in leadership and decision making, in addition to their important role in the economic, political, social, cultural and athletic sectors of all organizations. It called for a comprehensive socioeconomic policy that would combat unemployment and poverty, and advocate for complete social justice, including the rights of the working class, the basic right of every Palestinian to live in dignity and security, and to be provided with a comprehensive health insurance and services. It called for complete tax reform, and for a fair implementation of the tax system that would fairly apply to all sectors of the society, and to distribute the revenues to departments that help the people, such all the health departments, education, agriculture and development. The assembly also affirmed the unalienable rights of the detainees, and wounded Palestinians who suffered disabilities, and support for Jerusalem and all areas threatened and impacted by Israel’s apartheid policies, especially the Annexation Wall and the colonies. It called on strongly countering the American and Israeli attempts to void the legitimate cause of the Palestinian refugees, and to pressure the International Community to implement its own obligations towards all signed agreements that ensure the rights of refugees, especially the Right of Return to occupied Palestine after being displaced in 1948 when Israel was established in the historic land of Palestine after various massacres and the destruction of hundreds of villages and towns. It said that United Nations General Assembly Resolution 194, which was adopted on December 11, 1948, ensures the Right of Return of Palestinian refugees, and called on supporting UNRWA so that it can continue to provide basic services to the refugees, and ensure their rights to education, employment and services. The Assembly also called on the PLO to perform its duties in serving the refugees, in various countries, and ensure their participation in the decision making process, and stressed on the importance of rebuilding the war-torn and destroyed refugee camps in Lebanon and Syria, such as al-Yarmouk, Nahr al-Bared, Handarat, and Dar’a.